Last year, there was a sharp increase in the number of rail crossing accidents, which prompted the Federal Railroad Administration to work on a partnership with Google. The announcement made on Monday said that Google will provide locations of all the grade crossings in its popular map application. Google has agreed to highlight each and every rail crossing in Google Maps by incorporating the information from the vast database of the US Department of Transportation. Visual and audio alerts will also be added by Google to the app when the turn-by-turn navigation feature will be used by drivers. There are a total of 85,000 private and 130,000 public grade or level crossings spread all over the country. There had been an 80% decline in the number of accidents at crossings, which had been about 12,000 a year back in 1970s, but are now reduced to about 2,000 a year in the past few years. However, there was a 9% increase in the accidents in the last year alone. Because of this upswing, the railroad agency has been prompted to look for new ways for stemming the longstanding hazard via technology. The number of people who died in highway-rail collisions last year was about 270, which was higher than 232 in the year before. The number of people who were injured was about 843. After trespassing accidents, the second-highest cause of rail fatalities is grade-crossing accidents, which led to 533 deaths in the previous year. Drivers have become increasingly dependent on their smartphones for getting directions and major technology firms such as Facebook, Apple and Google have created location-based services, which take advantage of their capabilities to the fullest. Google is a mapping pioneer and its mobile app is one of the most popular ones for iPhones and Android phones. The agency also said that it had gotten in touch with four other digital mapmakers, which are TomTom, MapQuest, Apple and Garmin, for including similar features on their mapping devices or apps. Driver error or inattention are the usual causes of grade-crossing accidents. 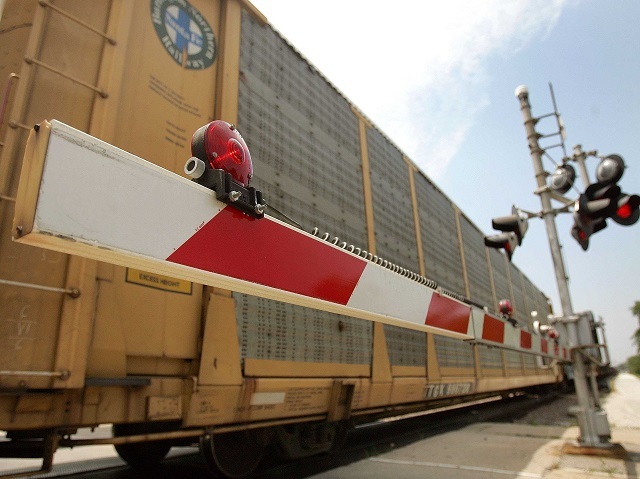 In many cases, there are no blinking lights or gates for warning drivers about an oncoming train. Safety advocates and officials don’t have any explanation for the rise in grade accidents in the previous year. A growing economy may have led to a rise in freight train traffic and has also put more people on the roads. Another factor may also be distracted driving. The acting administrator of the Federal Railroad Administration said that most of these deaths and accidents are preventable. She said that it has become routine for drivers to plug their destinations into their smartphones for avoiding traffic or finding the fastest itinerary. Information hasn’t been provided as to when the crossing information will be available on Google Maps, but the Department of Transportation has said that the project has been made a priority by the company. A Google spokeswoman said that they were pleased to be helping the Federal Railroad Administration and improving maps to help people.